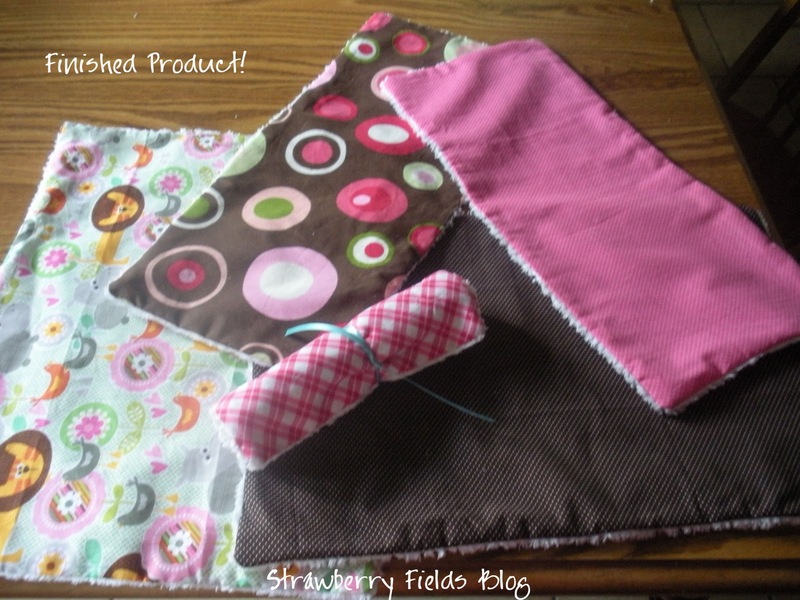 A few weeks ago, I whipped up these cute burp cloths for one of my sorority sisters who just had a baby girl at the end of May. These are so easy to make!! 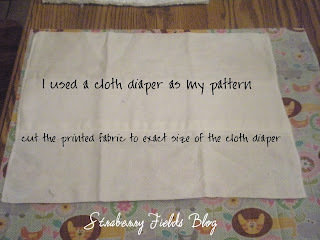 I used a cloth diaper as my pattern for a few of them and then others I made to fit on the shoulder. 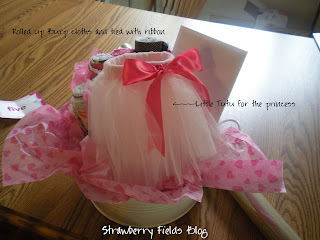 When Lilly was little I loved these! 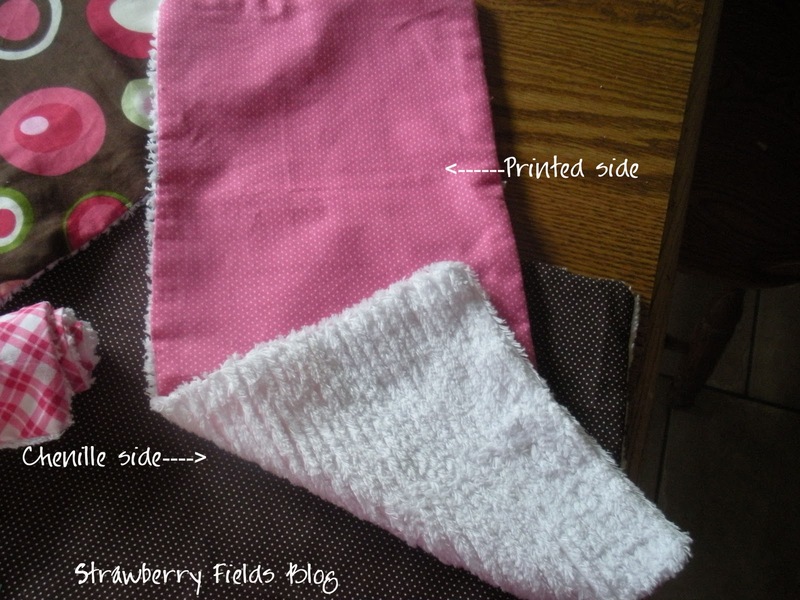 I made myself a few out of cloth diapers but when I saw the chenille at Joann's I had to give it shot! Here is a quick tutorial on how to make your own boutique burp cloths. 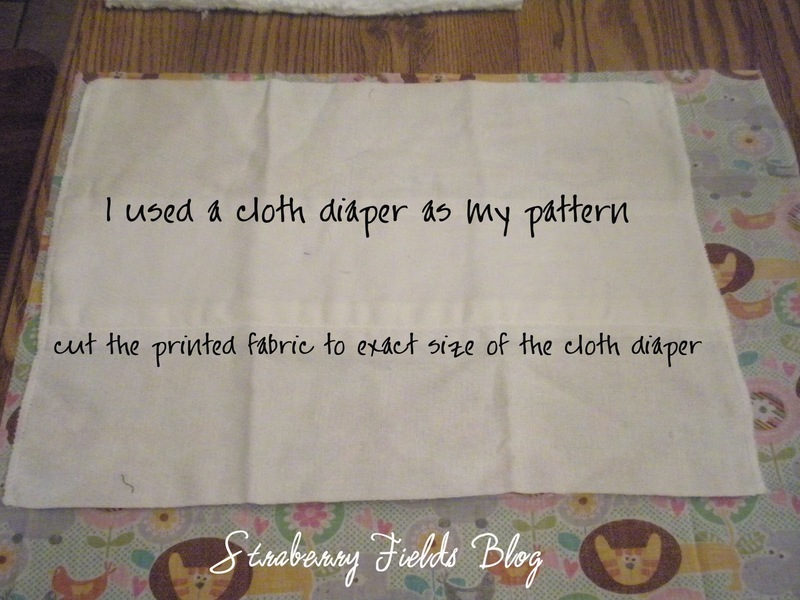 As for my size, I had an extra cloth diaper on hand and I used this as my pattern for a few of my burp cloths. I also made some that were about 9 X 14. This size was perfect fit for over the shoulder. 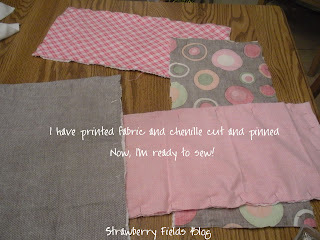 Once you have your printed and chenille cut to size you will need to pin them together. 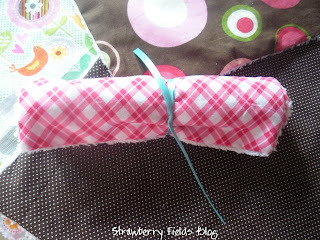 **Pin right sides together** Once pinned you can start to sew and leave about 2-3inch opening. Sorry, I forgot to take picture of this step. 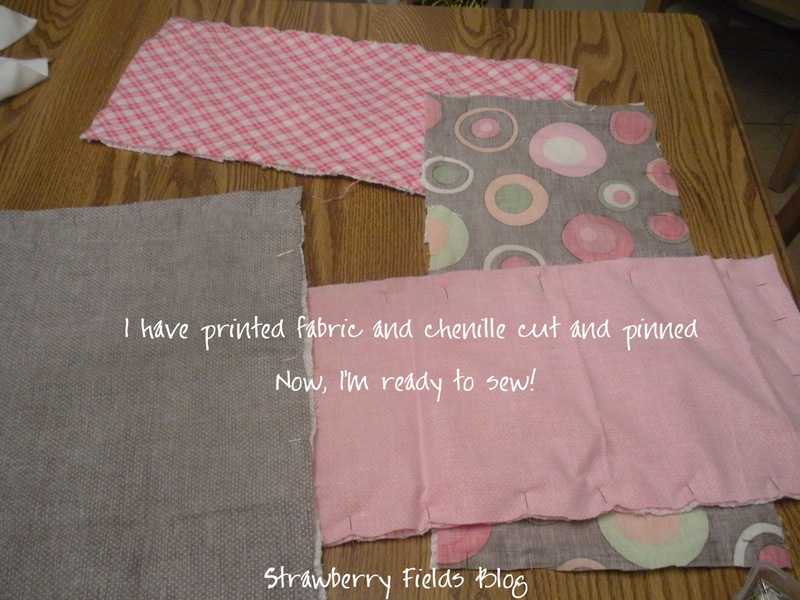 You will then turn them right side out and then blind stitch your opening closed. If you have any questions about how to make these let me know! I will be more than happy to help you out!! I've been making burp clothes like these for the past 3 years. I absolutely love them. Every time I make them for some one they always as for more.